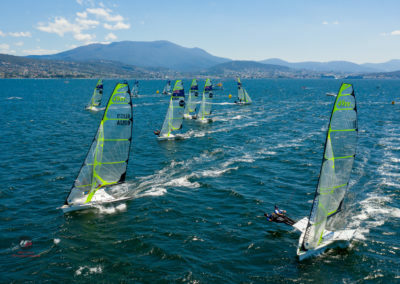 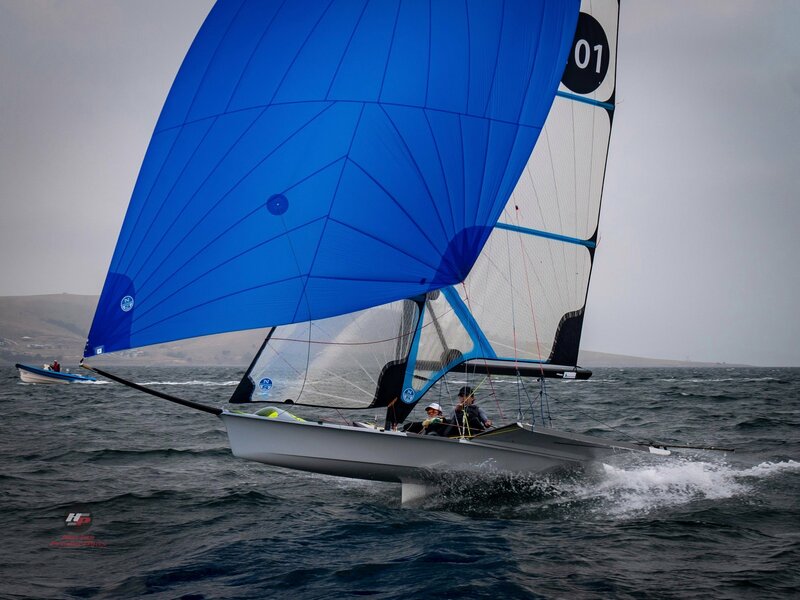 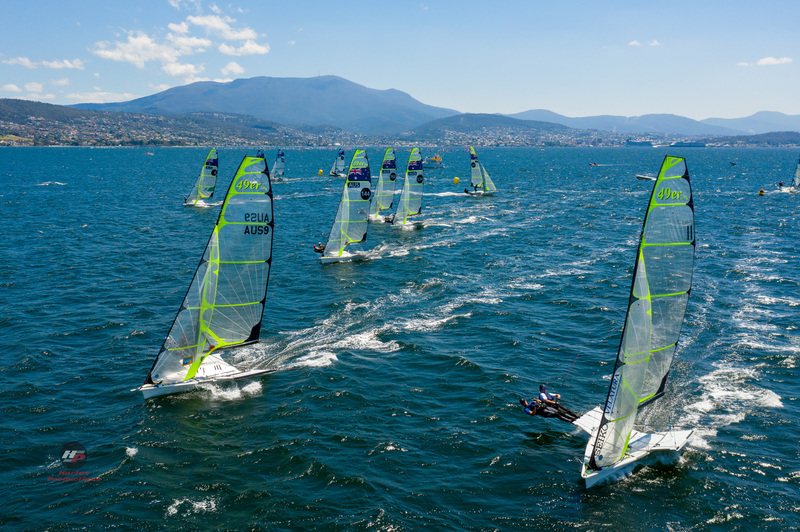 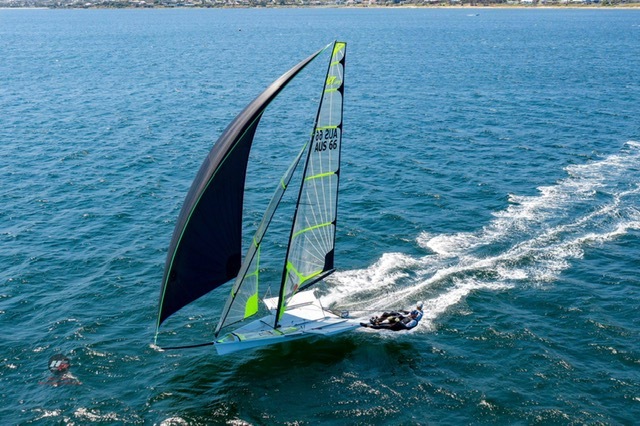 Hobart’s Derwent River played fair for the summer Zhik 9er Australian Championships incorporating the 29er, 49er, and 49erFX skiffs, between 8 and 20 knots of breeze over five days in early January allowing the full roll-out of 16 races. While the interstate Rolex Sydney Hobart fleet dribbled out of Hobart, the little boat crews took over the river from January 2 – 7, enjoying reasonably consistent breeze – other than the daily transitory shutdown as the dominant south-east pressure squeezed out the morning northerlies. 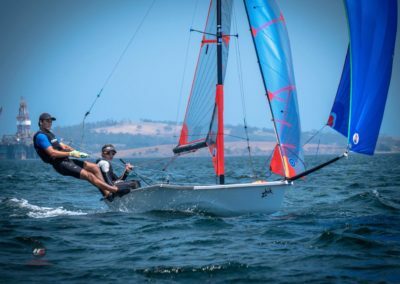 In the 49er, Victorian brothers Will and Sam Phillips sealed the perfect score of 16 wins from 16 starts and the joke around the boat park at the host Royal Yacht Club of Tasmania centred on whether anyone could take one off the perfectly synched siblings. 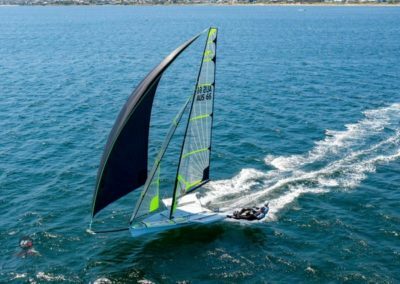 The key challengers couldn’t manager any closer than a boat length. 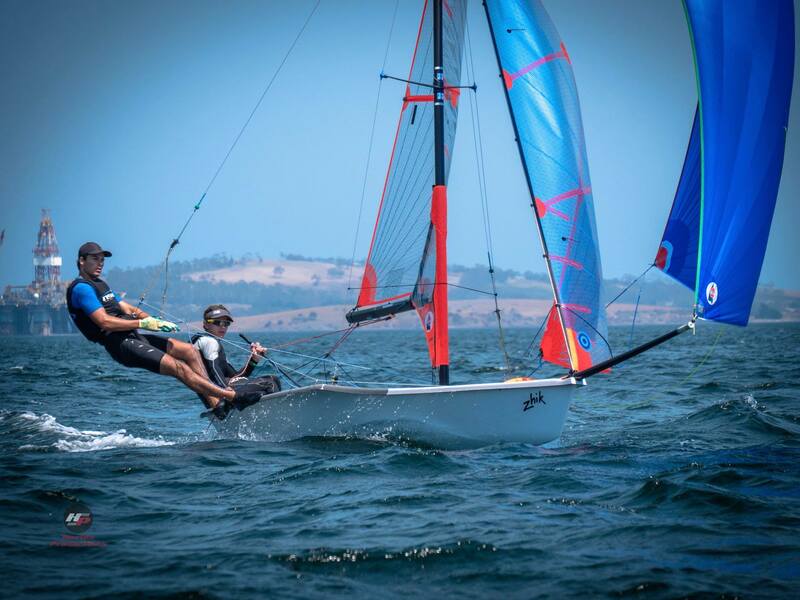 Second 49er was the Victorian team of James Groggan and Charlie Dixon and third was Ollie Manton and Jack Lloyd sailing for Port Phillip’s Royal Brighton and the Royal Geelong Yacht clubs.